San Diego’s downtown Gaslamp Quarter is alight with new and renovated hotels, restaurants and event venues. The Sparks Gallery provides an out-of-the-box event space option for up to 350 guests in a contemporary art gallery that’s housed in the historic Sterling Hardware Building. And for those who have worked up an appetite, the Palomar San Diego’s new Curadero restaurant features street tacos, ceviche and antojitos, or “little cravings,” that can be paired with Mexican craft beers, Baja wines and an impressive selection of tequilas and mezcals. Downtown’s crowning jewel is the historic Horton Plaza Park. San Diego’s original town center, the 146-year-old gathering place reopened to the public in May 2016 after a $17 million restoration and expansion. The 53,000-square-foot urban park has three rentable areas for groups: the Historic Park, fully restored back to its original state; the South Plaza; and the Amphitheater, which holds up to 1,800 standing guests. “The Amphitheater is unique in that it has so much more infrastructure than a passive park,” says Julie Montgomery, director, sales and events. “We have three-phase production power so you can have grand showcases, and beautiful LED lights, permanently installed theatrical lights, and water features that change colors and can be synced to music. It’s a fully immersive experience.” Since its opening, Horton Plaza Park has hosted 75 events, including celebrations for Niantic Labs, Hunter Industries, Entertainment Weekly and Sweet Tarts. Maximum capacity for the entire park is 5,700 standing and 3,500 comfortably seated. One of the park’s regular partners is The US Grant Hotel across the street. The hotel recently went through a refresh itself, unveiling a modernized grand lobby, updated meeting and event spaces, guest rooms, expanded fitness center and a complete makeover of the Celestial Ballroom. With a storied history that includes operating as a speakeasy during Prohibition, the ballroom returns to its 1910 origins as the Bivouac, with hanging pendants reminiscent of the 1920s adorning its distinctive vaulted ceiling. Whether you measure by number of new hotel rooms or by hipness quotient, downtown Los Angeles is the fastest growing and most rapidly changing region in the metropolis. The neighborhood, also known as DTLA, is seeing an historic rebirth as the center of hospitality and tourism, says Darren Green, senior vice president of sales of Discover Los Angeles. 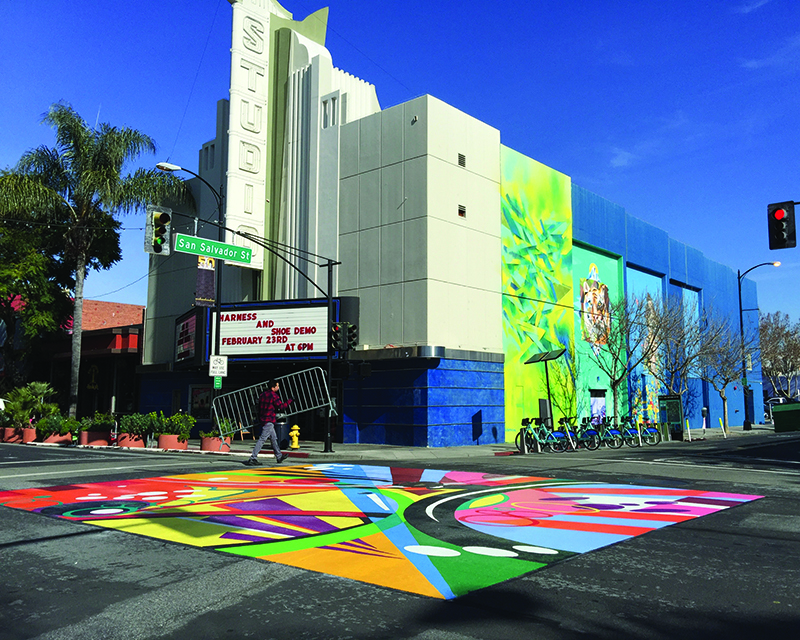 Meeting planners are attracted to the city center’s unique combination of new boutique hotels, mixed-use skyscrapers and innovative midsize meeting space, such as the Orpheum and other renovated historic theaters along Broadway. Locals, too, are thrilled by new public transportation options that enable them to use cars less and their feet more. May marks the oneyear anniversary of the 6.6-mile extension of the Expo Line that now runs from DTLA to Santa Monica, allowing convention visitors to reach the beach in about 45 minutes. The Metro Bike Share program, which Green says, is here to stay, offers more than 1,000 bicycles at 65 self-service stations. A mobile app provides real-time bike and dock availability. 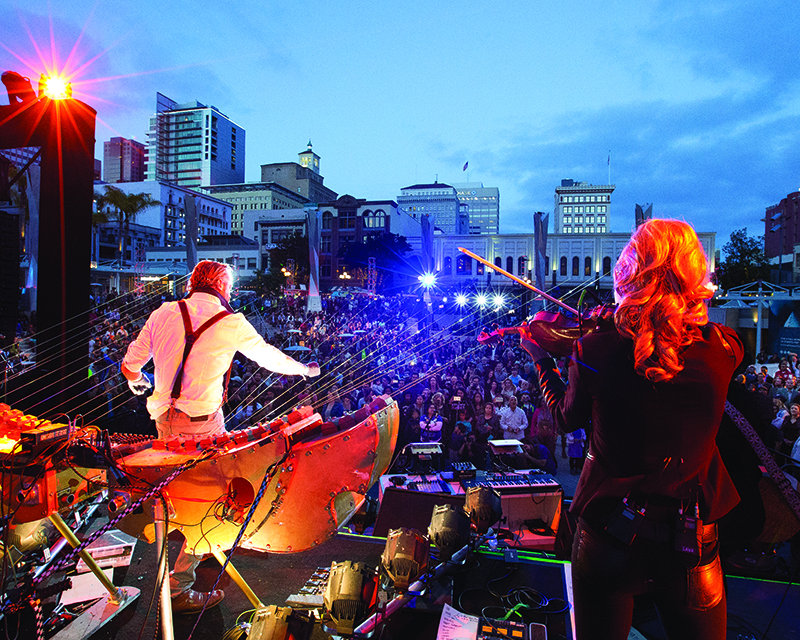 These improvements mean downtown venues are more in demand than ever; planners are encouraged to book early. “Short-term meeting opportunities are not as available as they were and you risk having to pay a premium the longer you wait,” Green says. Hotel Indigo: Set within the $1 billion Metropolis development, the newly opened 350-room, 18-story boutique hotel near L.A. Live features 11 meeting rooms totaling over 21,000 square feet. 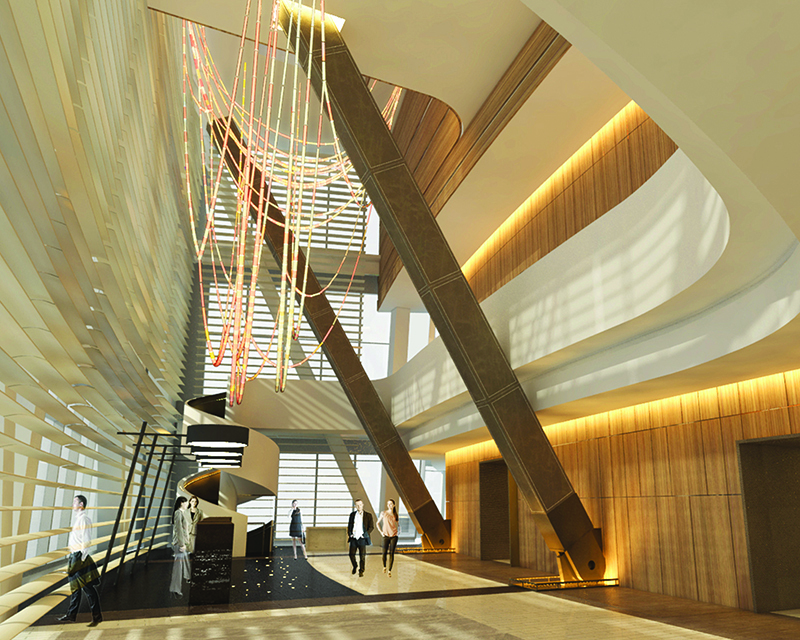 InterContinental Los Angeles Downtown: The 900-room hotel inside the mammoth 73-story Wilshire Grand is slated to open in June and will boast 32 meeting rooms, including a ballroom for 2,600 guests. NoMad Hotel: Housed in a former bank building, this West Coast version of a New York Hotel from the Sydell Group will have 250 guest rooms when it opens in fall 2017. Freehand LA: Also from the Sydell Group is this new contemporary and affordable hotel in the historic Commercial Exchange building. It has 167 private guest rooms with 59 shared accommodations, and seven meeting venues, including a poolside rooftop bar. Park Hyatt at Oceanwide Plaza: The $1 billion mixed-use development is slated to open in early 2019 with 184 rooms and 34 suites in LA’s first Park Hyatt luxury hotel. Cleo at L.A. Live: The restaurant from SBE Entertainment offers 8,000 square feet of indoor and outdoor space for up to 300 guests. The result is a slew of new art galleries, restaurants, craft breweries, and wine tasting rooms making their debut downtown. The recently opened 450-square-foot Seeing Things art gallery is available for groups to rent for small events. The San Pedro Square Market, a lively dining hall-style food market, is the perfect communal meeting space for foodies. And if you’re willing to travel a little outside downtown, San Jose’s diverse cultural neighborhoods like Little Italy, Japantown and Little Saigon offer incredible dining options, including Little Portugal’s Michelin-starred Adega Restaurant—the first Michelin-starred restaurant in San Jose. San Jose has also expanded its hotel rooms for the first time in seven years with the February 2017 opening of downtown’s new AC Hotel by Marriott. The hotel features 210 guest rooms and 6,500 square feet of meeting and event space, accommodating up to 100 people in its largest space. Downtown will also see the opening of the boutique 44-room Hotel Clariana this spring. 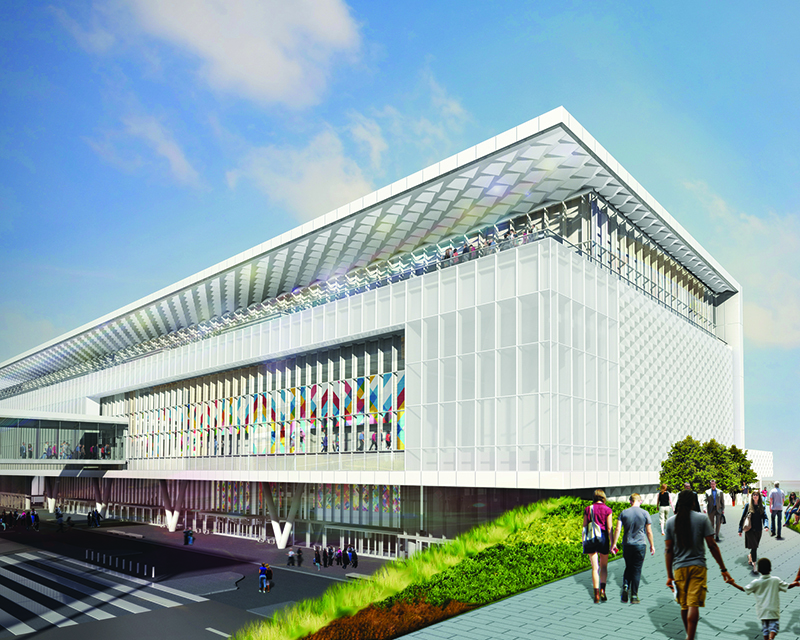 However, “the crowning moment from a meetings standpoint was the expansion of our convention center,” says Kyle Schatzel, communications manager at Team San Jose. “It’s got floor-to-ceiling windows with beautiful views of downtown and is a great addition to the event space we offer.” The San Jose McEnery Convention Center’s $130 million renovation and expansion added 125,000 square feet of additional flexible ballroom and meeting room space, increasing the facility’s usable space to 372,000 square feet. The convention center is connected to two hotels downtown and within short walking distance of many more. To say San Francisco is on an upswing is an understatement: The City by the Bay is in explosion mode when it comes to economic expansion and real-estate development. From a meetings industry perspective, no undertaking is more eagerly anticipated than completion of the Moscone Center expansion, a $500 million project that will help close the gap between increased demand for large conventions and exhibitions and insufficient space in which to stage them. The project, which is creating an estimated 3,400 construction jobs and as many permanent positions, involves adding new floors to the North and South buildings, along with connecting bridges, underground passages and other user-friendly features. A 50,000 square-foot, column-free ballroom; 107,000 square feet of function space with city views; and a 20,000 square-foot outdoor terrace are key features of the expanded complex. Stateof-the-art technology and high-level sustainability will add to the facility’s capabilities and appeal (Moscone is already LEED Gold certified). Among sustainability features garnering bragging rights: the city’s largest rooftop solar array will help produce net-zero energy while a rain harvesting system will capture water for street cleaning and irrigation of nearby parks. Even while under construction, the Moscone expansion has spurred innovation throughout the city’s hospitality industry. Reduced capacity has led to creative workarounds, including alliances formed between hotels to share facilities for large group gatherings. The project is also creating market demand for more hotel rooms. New properties on the books, according to San Francisco Travel, include the Waldorf Astoria, Langham Place, Moxy by Marriott, Hotel San Francisco, San Francisco Proper, Hampton by Hilton, Yotel, Virgin Hotels San Francisco and Hotel Via. Other types of venues already are springing up around the convention center, among them SPIN, a pingpong palace/nightclub/ team-building venue, and Fogo de Chao, a Brazilian steakhouse. Another forthcoming economic driver, D’Allessandro notes, will be Chase Center, new home of the Golden State Warriors NBA team, which is set to open in 2019. If there’s one city in the Golden State that’s garnering nonstop buzz right now, it’s Oakland. Long viewed as an industrial stepsister to chic San Francisco, the city across the Bay Bridge has come into its own as an epicenter of creativity, innovation and transformation. Old Oakland, the Victorian-era neighborhood, is booming these days with handsomely renovated 1870s apartment buildings, indie retail shops and cutting-edge taverns, bars, restaurants and entertainment venues. The 500-room, 21-story Oakland Marriott City Center, fresh from an $18 million makeover, sits right in the center of the action, offering ringside access to some of the Bay Area’s hottest hot spots. “It’s a new day in Oakland,” says Jeff Martin, the hotel’s destination sales manager. “Everything is transforming in a very positive way." Housing 90,000 square feet of flexible meeting space (including 36 meeting rooms and a 10,000 square-foot ballroom), the Marriott is connected to and operates the adjacent Oakland Convention Center, which offers an additional 64,000 square feet of gathering space and attracts events of every stripe. “We’re a boxing arena one day, a trade show the next,” says Lisa Kershner, the hotel’s general manager. The hotel is also connected to the Golden State Warriors NBA team practice facility and hosts many professional basketball, baseball and football teams in town for away games. It’s not unusual for delighted guests to encounter strapping athletes in the lobby. For most visitors, the most satisfying result of the renovation is a complete overhaul of guest rooms, which were redone in industrial chic-style and outfitted with 55-inch televisions, sophisticated lighting, luxury furnishings and, in a nod to techie culture, a whopping 15 electrical outlets per room. Meeting and dining space also was reconceived. 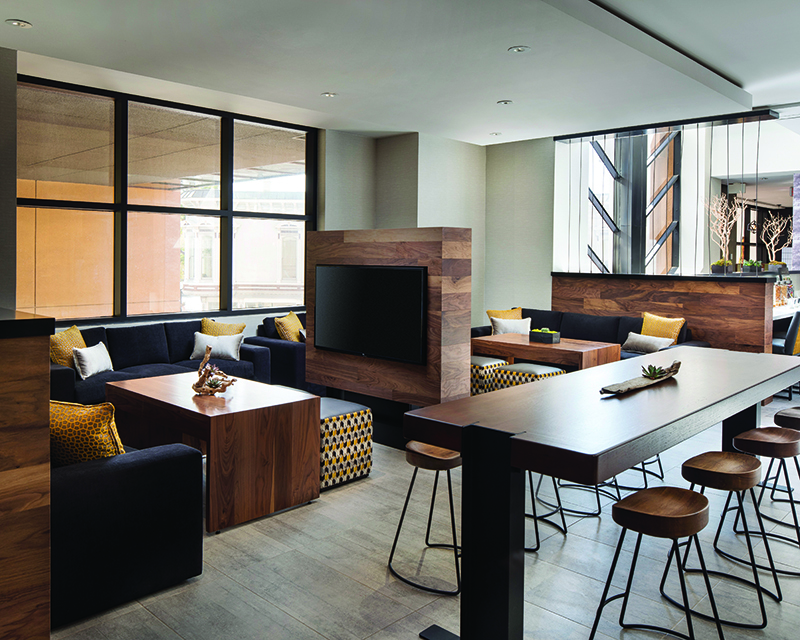 In a departure from traditional hotel configuration, a great-room restaurant and lounge concept called Iron & Oak was introduced on the second floor, while a 21st-floor restaurant was repurposed as a meeting and event venue with wrap-around city views. Also noteworthy: The hotel is within walking distance (or a short Uber ride) of trendy Jack London Square, the Oakland Museum of California (which hosts free Friday-night events that attract thousands), the dynamic and rapidly transforming Uptown district and Old Oakland. It’s also just a short stroll from a BART station that delivers travelers to downtown San Francisco in less than 15 minutes. Downtown Sacramento is popping with new energy, new development and the promise of more to come. 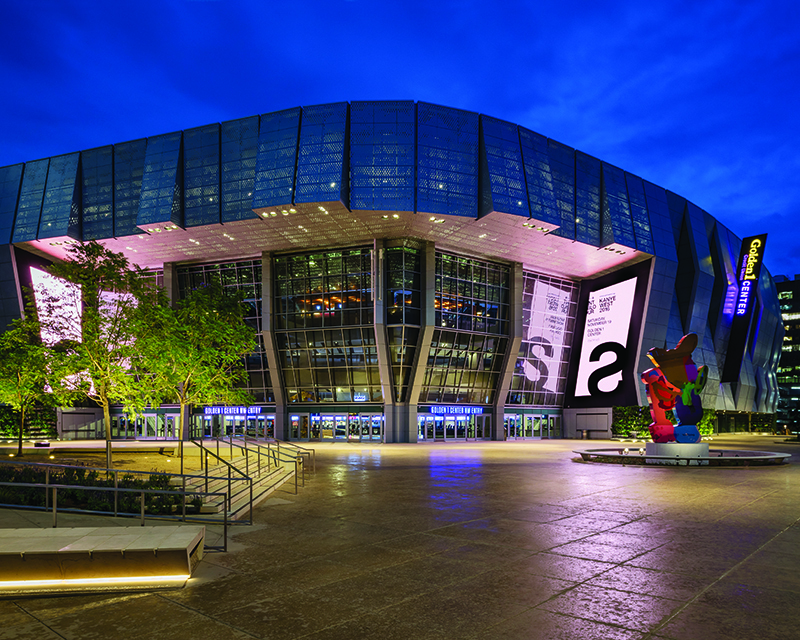 Last October, the longawaited Golden 1 Center, a sports and entertainment complex and new home for the Sacramento Kings NBA team, opened to great fanfare smack in the middle of downtown, fueling a renaissance that shows no signs of slowing down. Besides hosting concerts (Paul McCartney was the opening act), basketball games and events ranging from rodeo to martial arts and monster truck competitions, the $558-million center offers meeting planners a host of new venues for private events. Five clubs and lounges are available for rent, and the entire building is scalable so that any space can transform into an event space. In its first 100 days the arena hosted 75 events, including 20 private functions that ranged from a large-scale innovation conference to receptions, luncheons, corporate gatherings, small concerts and holiday parties. A point of pride for the arena and city of Sacramento is an industry-leading food program utilizing responsibly sourced ingredients from producers within 150 miles of the arena. “That means less miles traveled and less carbon gasses emitted while providing highquality food at the same time,” says Rodriguez, noting that local restaurants were tapped to develop menu items that go far beyond burgers and nachos to include Moroccan, Greek, Vietnamese and other ethnic and fusion fare. Later this year, the Sawyer Hotel, Sacramento’s first Kimpton property, will come on board as a DoCo anchor with 258 rooms in a new, multiuse building adjacent to Golden 1 Center. A Hyatt Centric property with 165 rooms is in the works nearby. Meanwhile, downtown residential development in the form of condominium and apartment buildings is still in the proposal phase.